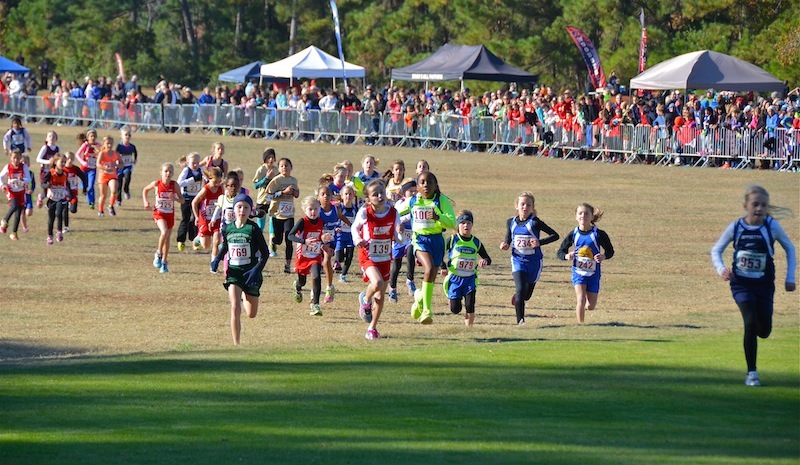 The 8 and Under Girls got the party started as the Region 4 and 16 runners are cheered on by a huge, enthusiastic crowd. Addison Tilley of the Marietta Track Club earned the first Gold medal of the day with her 8:23.60. 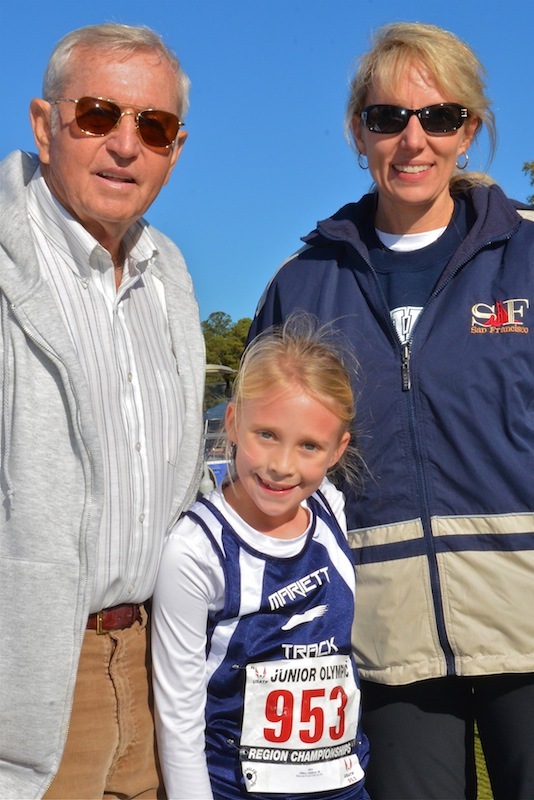 Two of Addison's biggest fans joined her in celebrating her 8 and Under 2000 meter win. The 8 and Under Boys were in full flight heading down the opening fairway. John Mitchell of the Walton Track Club earned the win with his terrific time of 8:10.26 for 2000m. Annabella "Ani" Veltcheva made the trip from her home in Gainesville, FL, very worthwhile by winning the Girls 9-10 3k Run. 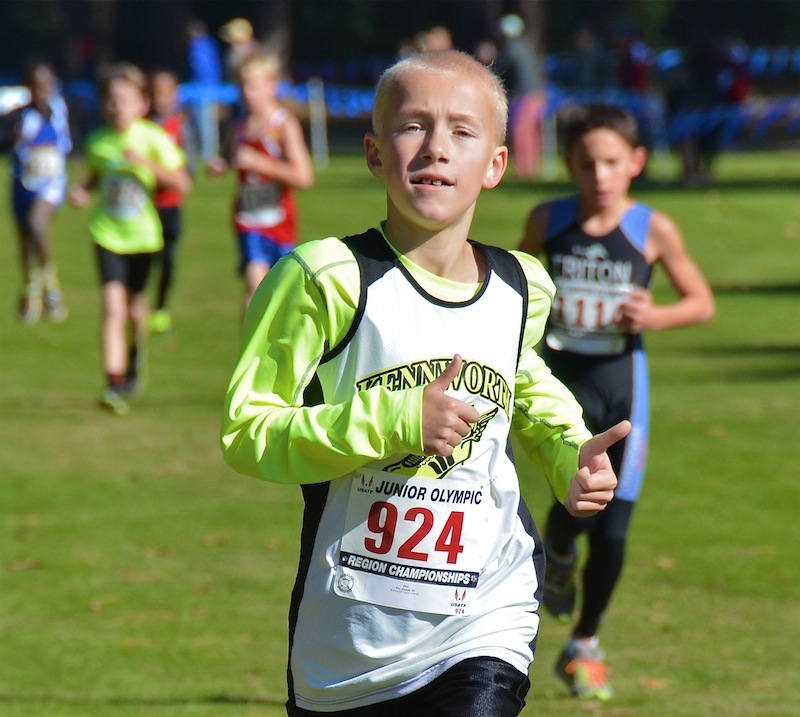 Two thumbs up for Joseph Vos of the Kennworth Track Club as he earned Gold in the 9-10 Boys 3k. 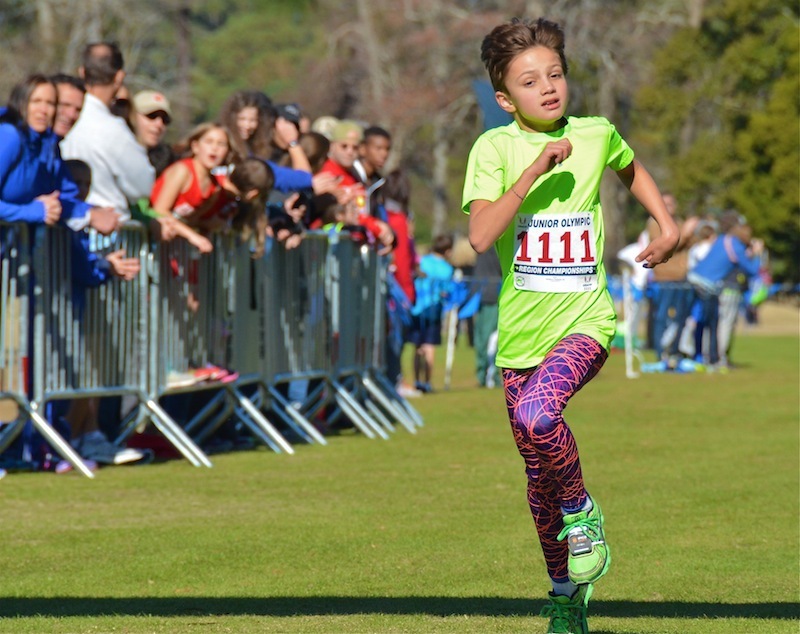 The 11-12 Girls race was dominated by Nyah Hernandez #1076. 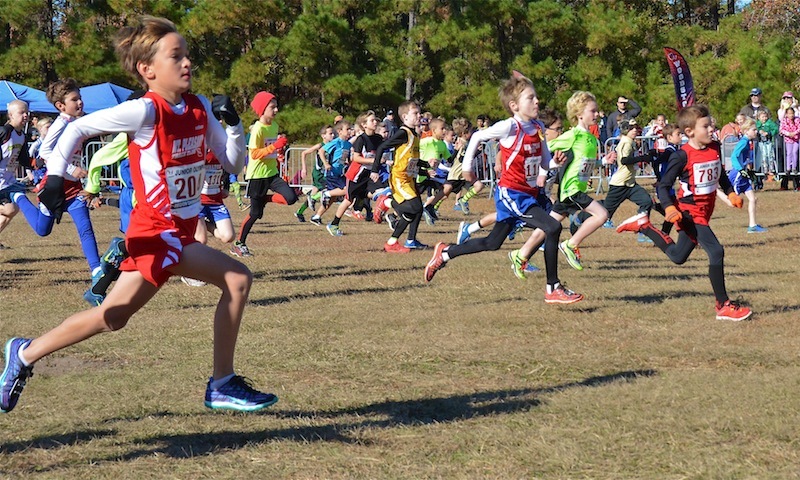 Nyah's encore to her winning the GA State Middle School XC Championship was USATF Gold. 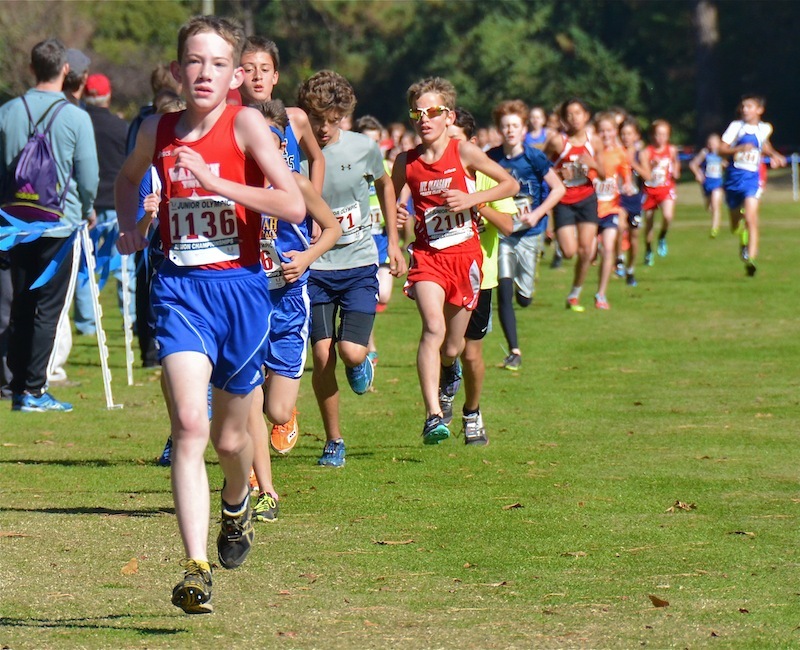 William Brown #1136 of Walton Track Club leads the chase of David DeChamplain in the Boys 11-12 race. 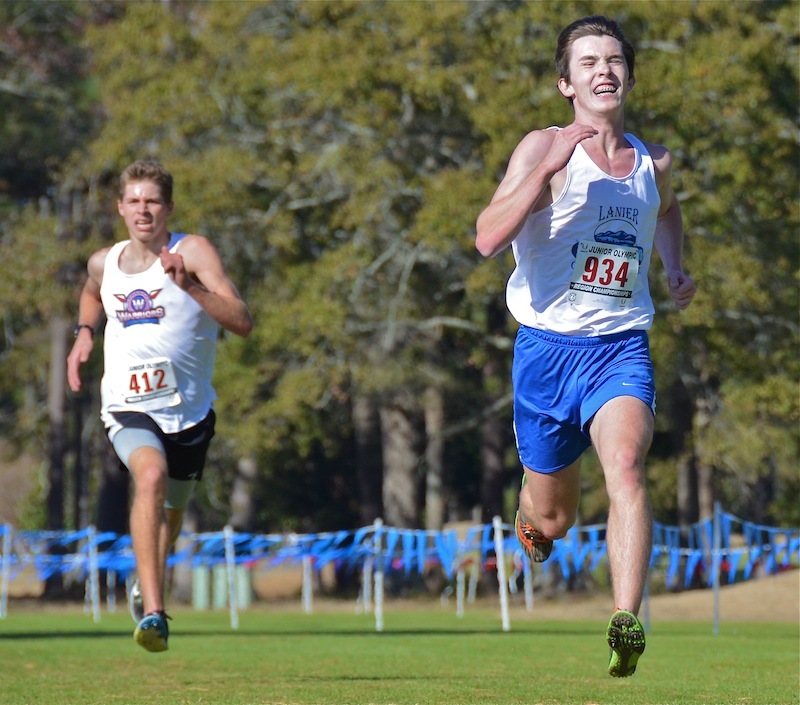 Brown held tough to take 3rd Overall, 3 seconds behind Michael Patterson of Great Strides. David DeChamplain's 11-12 Boys victory added to a special week, following his GA Association win last Saturday and becoming a big brother on Wednesday. Best Wishes to the DeChamplain family! 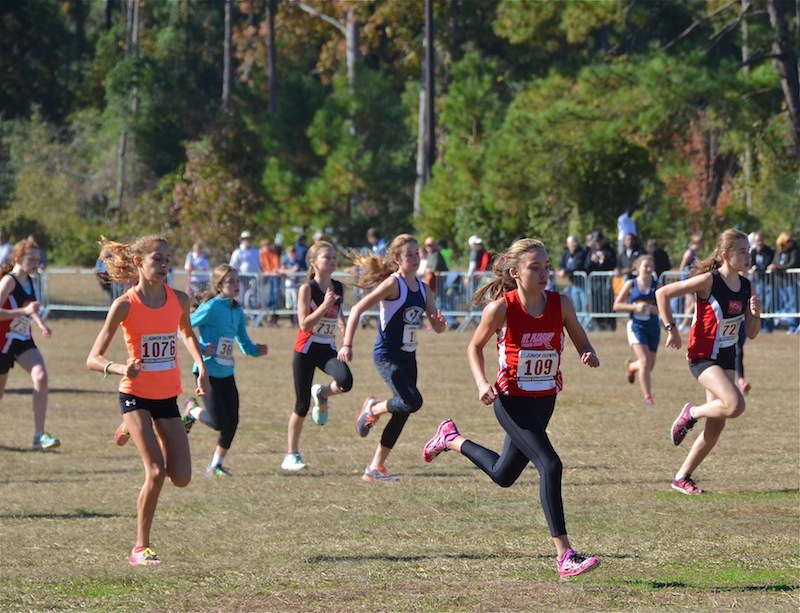 Haley Hooper #1077 earned Gold in the Region 4 Girls 13-14 race in 14:40.93, Sydney Runyan #811 took Silver in 14:56.33, and Faith Bobak #796 followed with Bronze in 15:15.85. 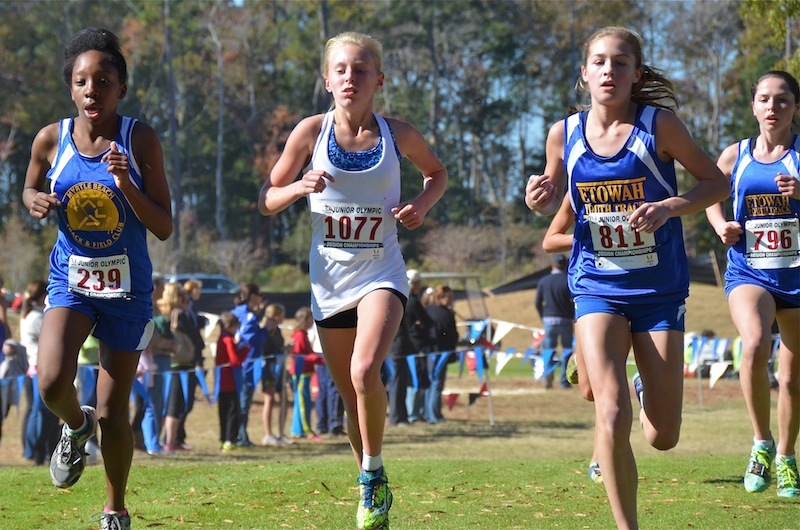 Kenia Smith #239 of Myrtle Beach ran a 15:28.22 to win the Region 16 Girls 13-14. 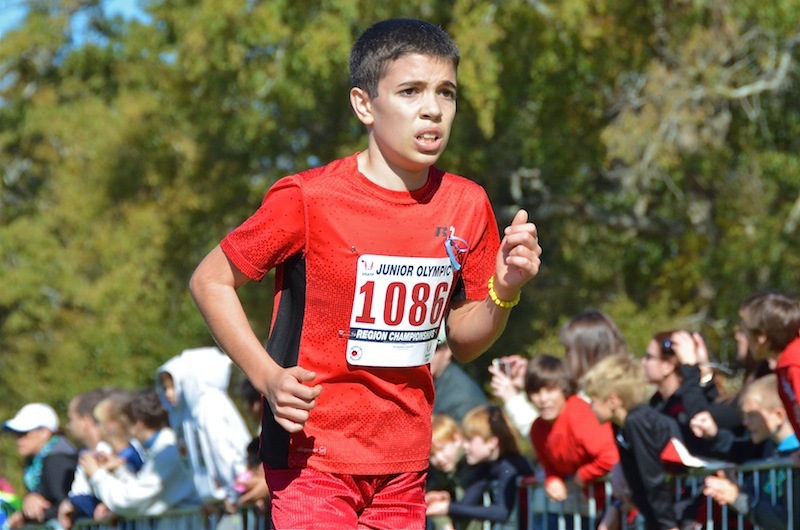 Jacob McLeod flew to victory in the 13-14 Boys 4k race, posting a fantastic time of 13:06.30. Watch McLeod at Nationals! 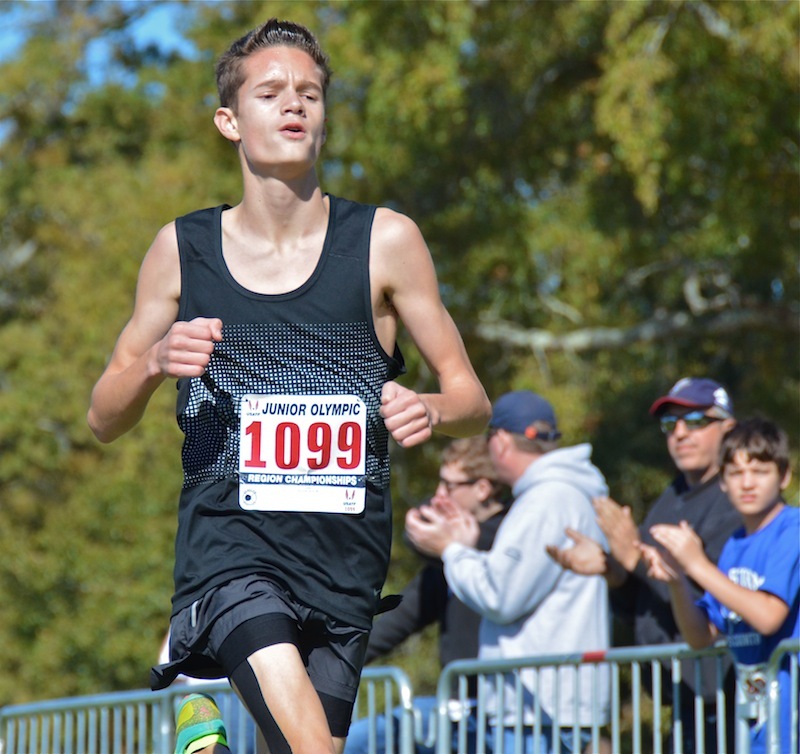 Logan Morris of Spartanburg made South Carolina proud, earning the Overall win! 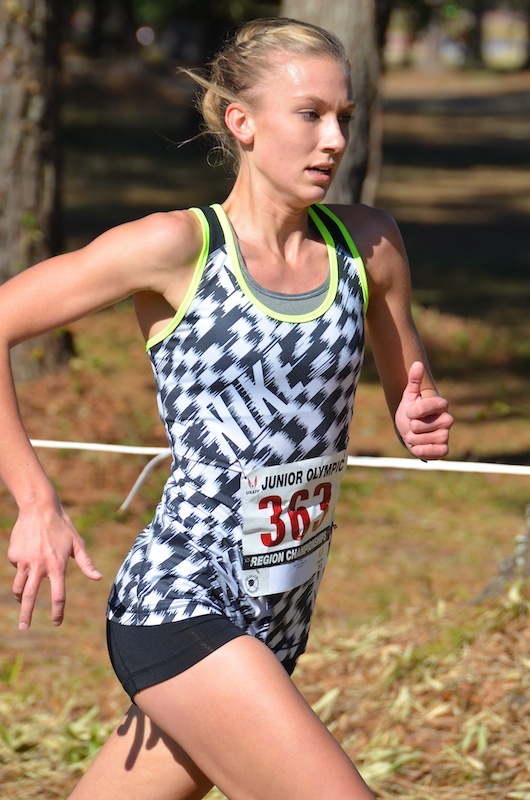 Logan ran a fantastic time of 17:51.09 for the Gold in the Girls 15-16 race. 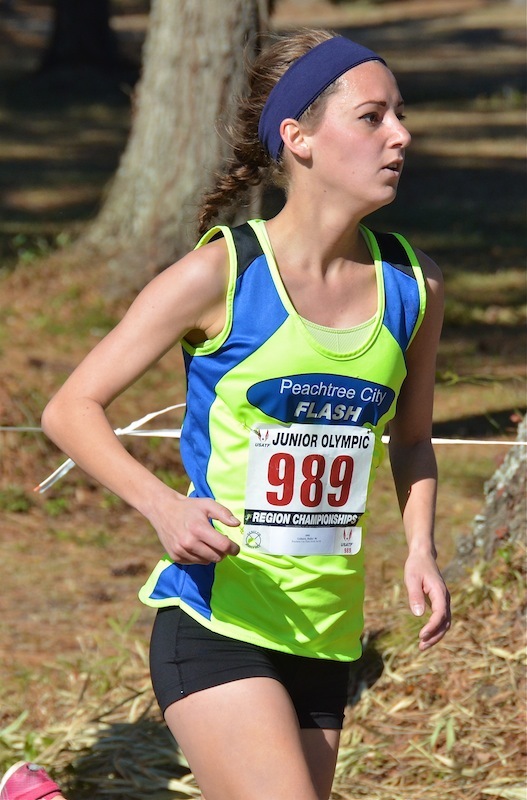 Hailey Gollnick of Peachtree City Flash earned Gold in the Girls 17-18 5k with her 19:04.87. 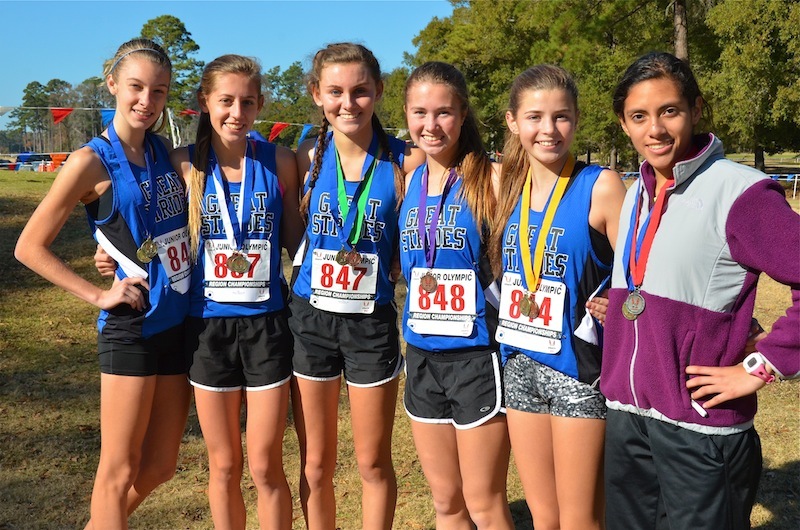 Great Strides 15-16 Girls, Kalee Dupont, Lizette Galarza-Paez, Milicent Bergey, Julie Ericson, Emma Maisel, and Bonnie McKinnon posted a perfect Team score of 15 points! 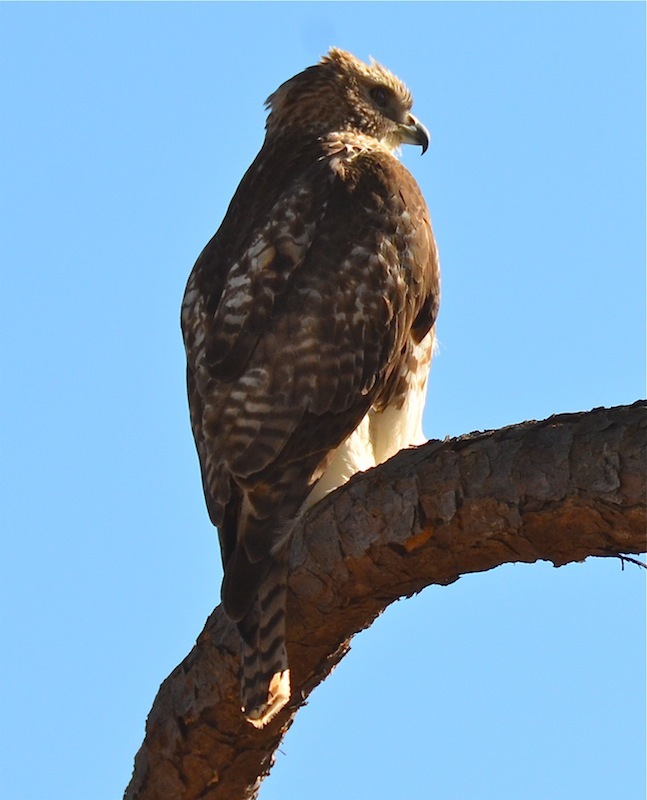 This Eagle was spotted watching the races from one of the Whispering Pines. The Boys 15-16 and 17-18 combined to fill the fairway at 600m out on the well groomed Whispering Pines course. Quintin Miles of Lanier Lightning unleashed a deadly sprint on Micah Williams of the Warriors Track Club in the Boys 17-18 race. Williams ran valiantly and led the race for approximately 4950 meters before Miles took him by 1.75 seconds. Miles earned Gold for Region 4 and Williams Gold for Region 16. 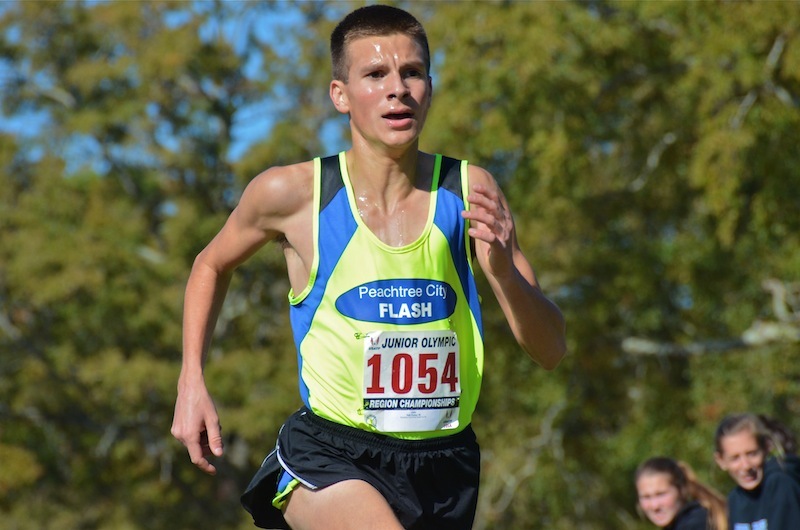 Benjamin Parker Nail of PTC Flash made it two in a row, winning the Boys 15-16 in the GA Association Championship and now following that up with Gold in Region 4.